If my complaint with the first book in the series is that it follows its source a little too nearly, my complaint of the second is entirely at the other end of the pendulum’s oscillation. 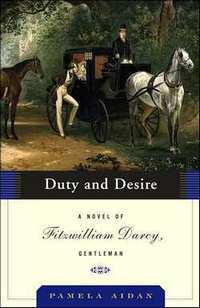 Duty and Desire starts off in a promising mold — we are in unknown territory here, a period of Darcy’s life which neither Austen nor the BBC covered, and so Aidan is freed from her tethers. Unfortunately, she takes that opportunity to veer off into a very strange land. While the first third of the book is what you would expect — Darcy at Pemberley, learning about his sister’s reformation, seeing to his tenants and his family, and so forth — the last two-thirds seem to come from another planet. In an afterword, Aidan states that she was inspired for this section of the book by Jane Austen’s satire of Gothic romance, Northanger Abbey. Not having read that book, I can’t comment as to how near or far her imitation is, but coming in the middle of this series, it’s a bizarre and jarring left-hand turn. 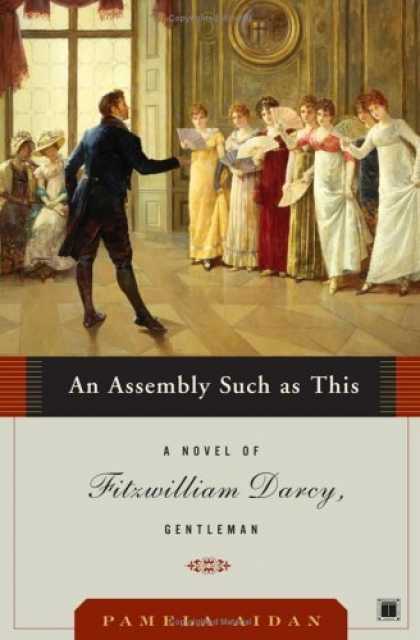 Mr. Darcy, attempting to banish Elizabeth Bennett from his mind, makes the impromptu decision to join some old schoolfellows for a house party. Most of the characters are fairly interchangeable and indistinct, making it difficult at points to determine what anyone’s motivation is. The exception is the half-Irish half-sister of Darcy’s host, Lady Sylvanie, whom Aidan takes pains to point out to us at every opportunity is fairy-like in appearance. Darcy is both captivated and mystified by her, and though Aidan clearly wants to set her up as a point of tension and suspense, it’s hard to believe that Darcy could really be tempted by her when he so clearly mistrusts her. Things spiral out of control when a strange sacrifice appears at the standing stones on the manor — a dead pig trussed up to resemble a child. 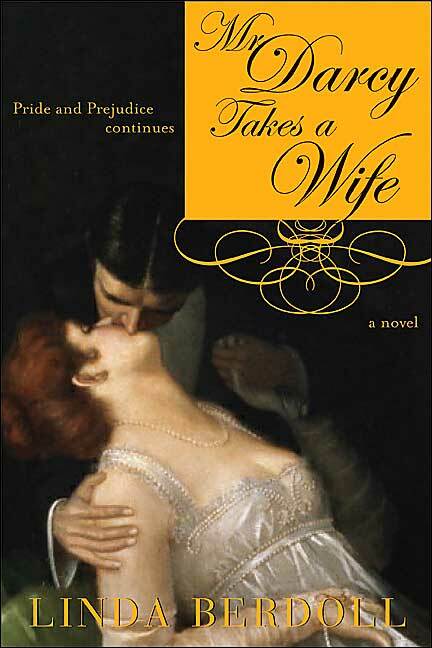 And so suddenly this Regency comedy of manners veers sharply into a supernatural mystery. It’s very odd and very discordant — and what’s worse, it never pays off. The ultimate resolution is strange, under-explained, and unsatisfying. The book also occasionally verges into very preachy territory, particularly with regards to Georgiana, who attributes her maturation to the influence of a very religious companion, the widow of a minister. Georgiana pushes Divine Providence at Darcy, prompting the narration to expound at length on matters of 19th-century Christian theology. This isn’t surprising when you learn a bit about the author, who is very much influenced by her faith. Very nice for her, and perhaps for a great many of her readers, but not to my taste. Though Aidan clearly paints Darcy’s and Society’s disapproval of Georgiana’s fervent religious awakening in a negative light, I’m rather on their side, finding the whole thing somewhere between unnecessary and obnoxious. I don’t mind religion as part of a historical plot — because, obviously, religion is a force that has shaped so much of human culture and which plays a significant part in many historical figures’ lives. What I mind is when it feels more like the author shoving a religious interpretation at the reader, not just part of the story. Though I first read these two books a few years ago, I was never moved strongly enough to purchase the final installation in the trilogy — and honestly, I don’t know if I will be so moved anytime soon. It isn’t that I think it would be bad — there are just so many other books on which to spend my hard-earned cash, and, well, this doesn’t approach anything near the top of the list.